Two days of lessons, then a fashion shoot. Karen Sissal [a.k.a. 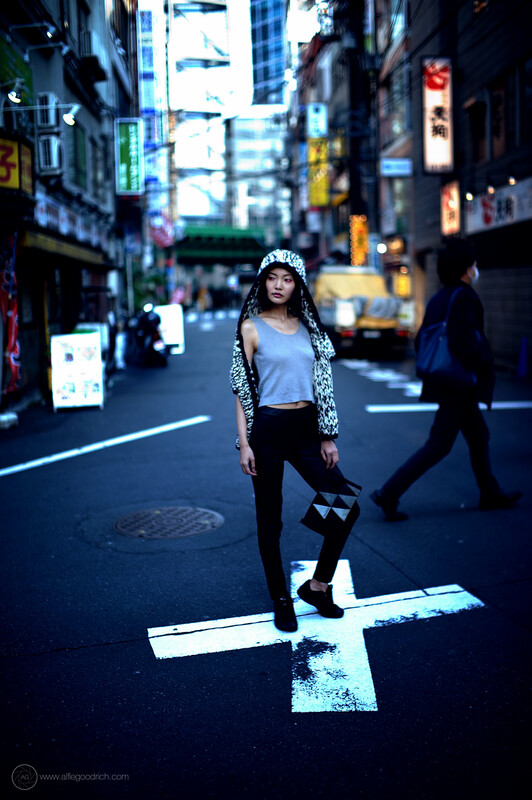 Shisa] talks about coming to Tokyo from The Faroe Islands, to up her photography game and do the first shoot for her knitwear brand in Tokyo with Alfie Goodrich and Japanorama. Bear with the text. IT’s worth reading and at the bottom there’s the reward of a load of lovely pics to look at. In the nest issue of my Stekki magazine, which is out very soon, this article will be expanded on to showcase some of the shots that Shisa took on our two days of lessons. 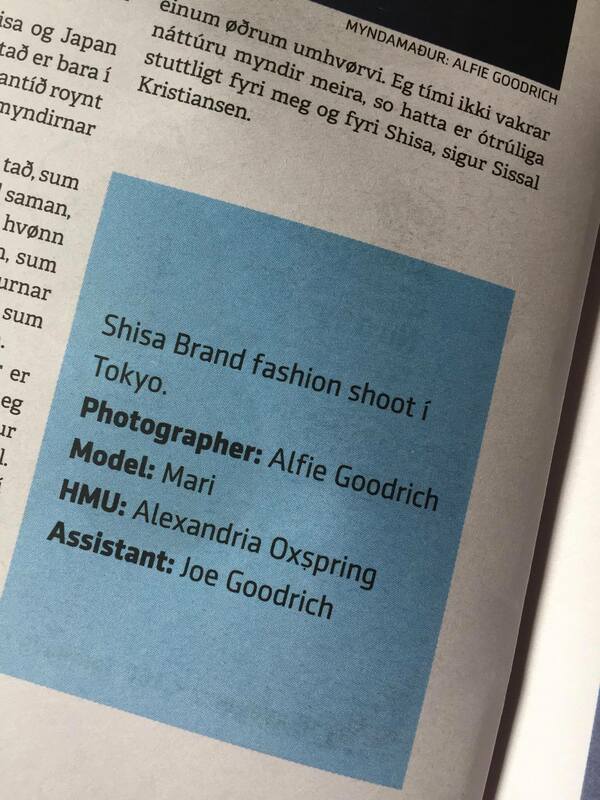 UPDATE: Shisa recently mailed me to tell me that our shoot had been all over a newspaper in the Faroe Islands. 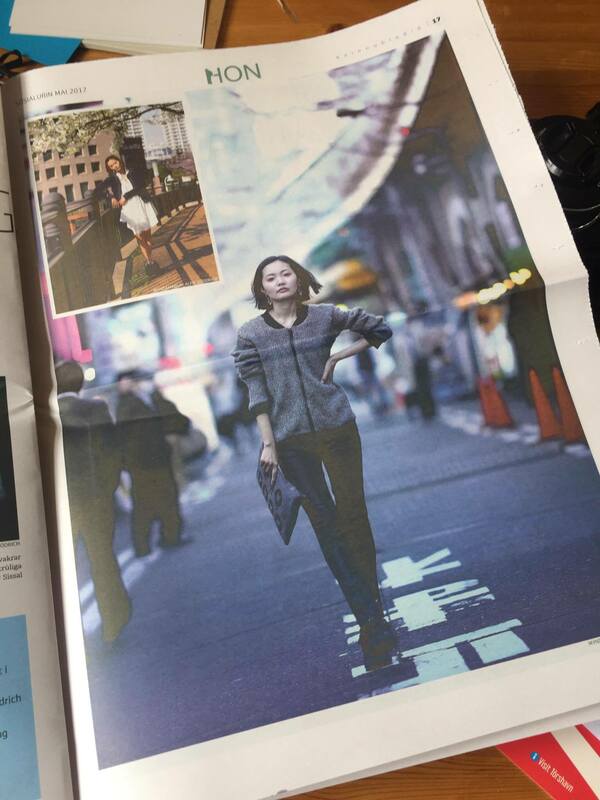 The paper, which went to every one of the islands households, featured my shot of Mari on the cover. 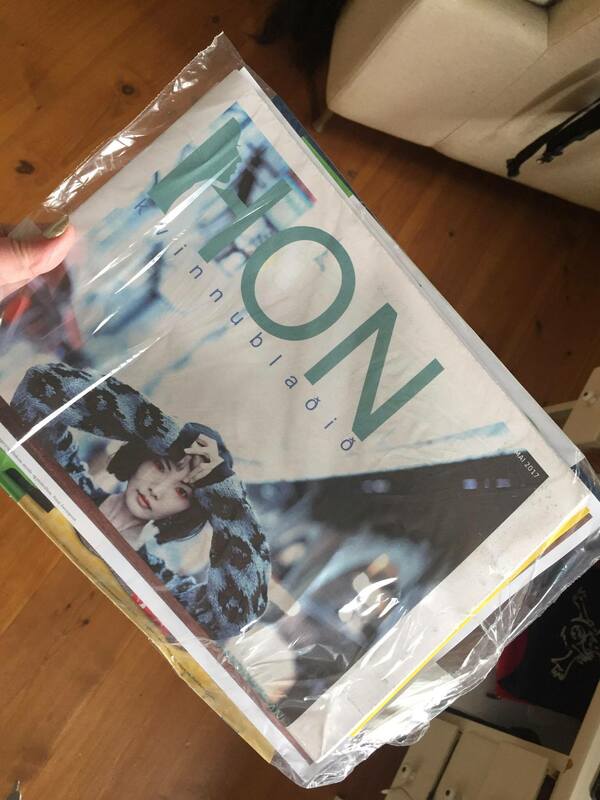 There was a massive feature with more photos and interview with Shisa inside. 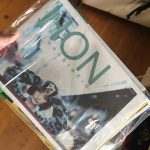 “I was first contacted by Shisa some months ago,’ says Alfie, ‘and she asked me to put together a plan for a couple of days of learning which would end with my shooting a selection of her knitwear and accessories with a model. ‘I don’t really ever get precisely the same request twice. That’s a large part of the attraction for me about the work I do: every day, every client, every student is different. ‘Shisa had a list of things she wanted to cover during the lessons, some technical, some creative. Her goal, she said, was to get better at shooting generally and especially when it came to shooting for her brand. ‘The first day was spent covering some of the technical stuff – ISO, aperture, speed and getting used to juggling them to get the photo you see in your mind’s eye – followed by us shooting together in some interesting locations, so she could practice the stuff we’d covered in theory. I also wanted to get a handle on where her eye was at, how she sees the world around her. It was a stimulating, creative and very enjoyable day. 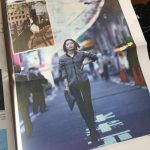 ‘Day two was more about beginning to get specific as regards the shooting of her brand, shooting with models and how to choose good locations. We spent some time in places I felt would work for the shoot we planned to do the following week. For me this is all about getting into a similar frame of mind as a film director: looking at the locations as an empty movie set, checking their fitness for the purpose of putting our ‘actress’ in them on the day of the shoot. ‘Shooting day was about showing Shisa how it all came together. 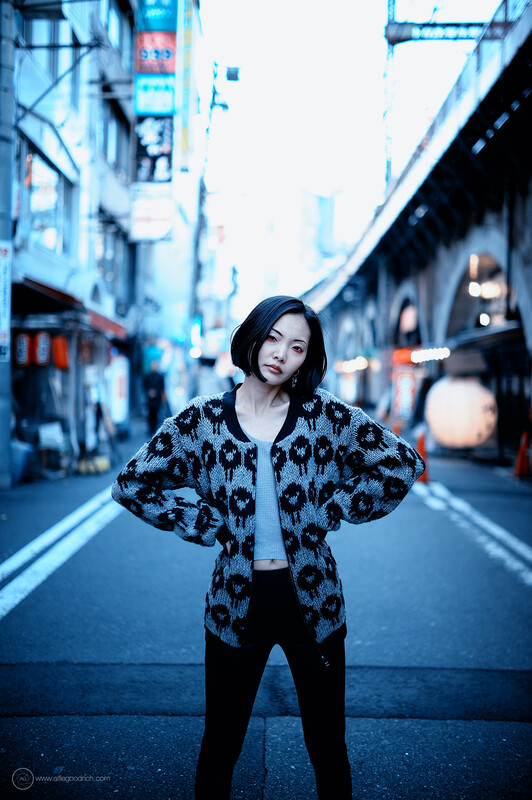 We were working with Mari, who I’ve shot with many times now; Alexandria Oxspring, a hair and makeup artist from the UK who is currently living in Tokyo. Alex, Mari and I had worked on one shoot together before. For me, on this shoot, having known quantities was important. Mari and I knew each other’s work; Mari and Alex had worked together before and got on well. Shoots are a cocktail of creativity, place, people and technical challenges and logistics. There’s always a little room for experimentation but it has to be managed. Experimenting in all areas, all at once, for me is not a good recipe. The last member of our team was my eldest son, Joe, who was along to assist me. Joe is gregarious, loves people, understands me, can put up with me and knows enough about photography and lighting now to operate without my needing to be telling him what to do all the time. ‘It’s always nice when a client sees the shot you get with the first press of the button and loves it. That happened with Shisa. The whole shoot went really well. There were a few hiccups: batteries for the large strobes not lasting as long as they usually do; me taking two receivers for triggering the smaller backup speedlights… instead of one receiver and one transmitter. But, we made do. 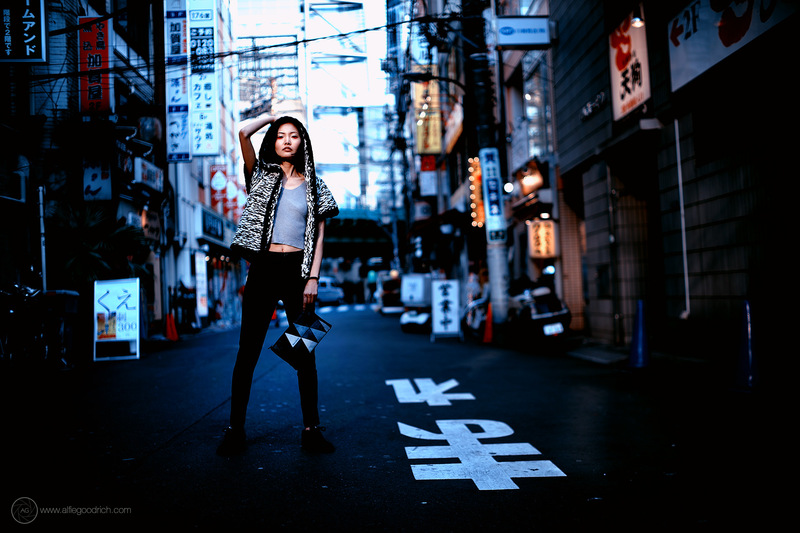 The last few shots i did with Mari in Shimbashi, we squeezed what light we needed from a last shaft of sun in the street, just prior to sunset. Being a pro is about getting the job done whatever the challenges. 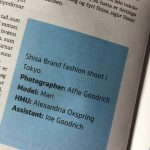 The shoot and lessons: Shisa’s view of it all…..
“Shooting with and meeting Alfie has been one of the many great experiences of my trip to Japan. 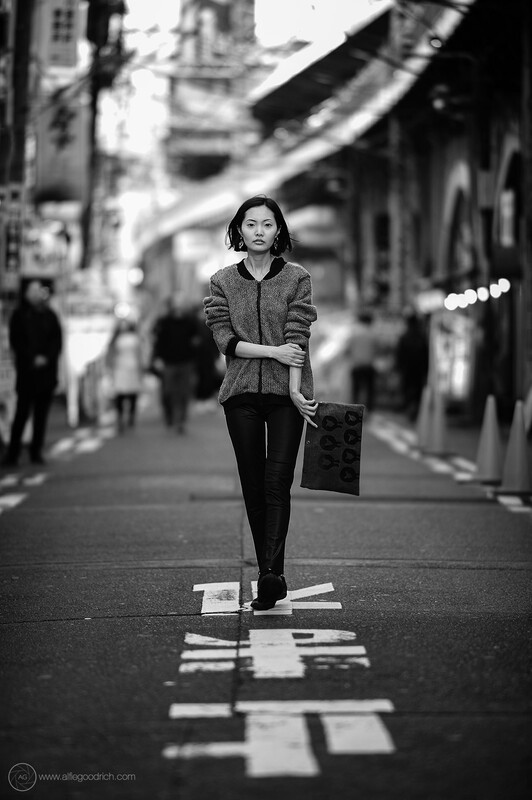 ‘Before I arrived in Tokyo, I actually thought that I was a fairly good photographer. In my dialogue with Alfie before arriving in Tokyo, I made a point of telling him, that I have no real technical knowledge of photography, but I have a good eye. So I knew I didn’t have it all down, hence the photo class, but all in all, I imagined I would be a dream student. You live and learn. The first 30 minutes with Alfie made me realise that there is a long way to go before I can call myself a good photographer. ‘With great patience, Alfie made me understand about aperture, shutter speed, framing, light, ISO, metering, Kelvin….you name it. I knew all the words, and I understood pretty well what all the techniques are good for, why it’s all important. But there is still a long way to go before I have it all at my fingertips. But the best part of the days with Alfie is, that I now am eager to put in the practice time – I know that I won’t master this just yet, but I’m willing to put in the time. ‘With every good teacher, there is always that moment when they give you the “a’ha! !” feeling, that moment when you feel that you have seen the light. The moment Alfie got me to see the light, and really got me hooked was when he had understood me well enough to put what he was teaching me in a context that I am most drawn to: story telling. ‘Photographing, I realised, is all about telling your story, transforming your style. It is about observation, about telling the story so that it is your story, not just a story about a given thing that you are shooting. It is about evoking a feeling, to learn and to explore – through your pictures. No wonder it takes such a long time to master this technique. This I understand. This I’m drawn to. ‘The two days’ lessons that I had with Alfie before our Shisa Brand photoshoot were a good beginning. I am glad we did it in this order as it made it easier for me to get into the mind-set of telling Shisa Brand’s story with our photoshoot. The prior days made the photo shooting better than it would have been if we had done it the other way around. We found spots that Alfie knew would go well with my designs, but we could also choose locations that fitted with the story I wanted to tell. ‘I have not enough words to tell about the photo shoot itself. 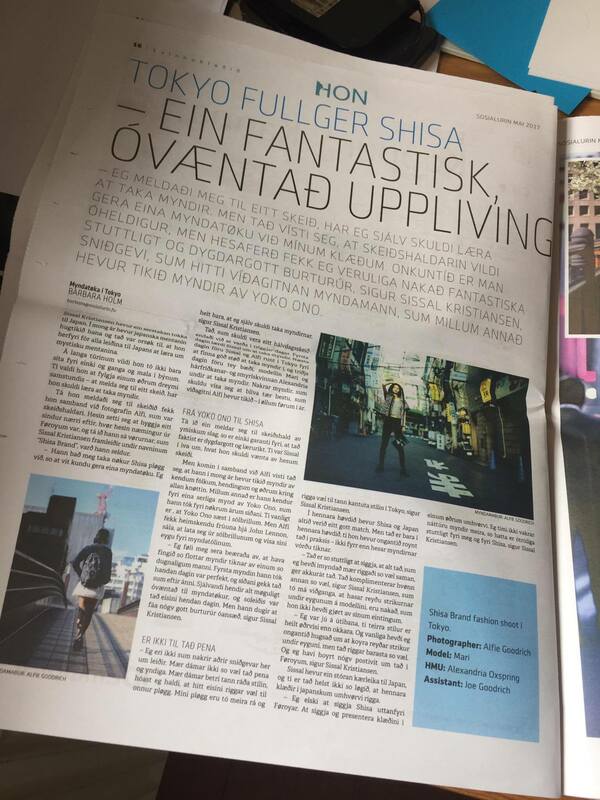 It was the most amazing experience I’ve ever had with Shisa Brand. The team was the best team I could have wanted. 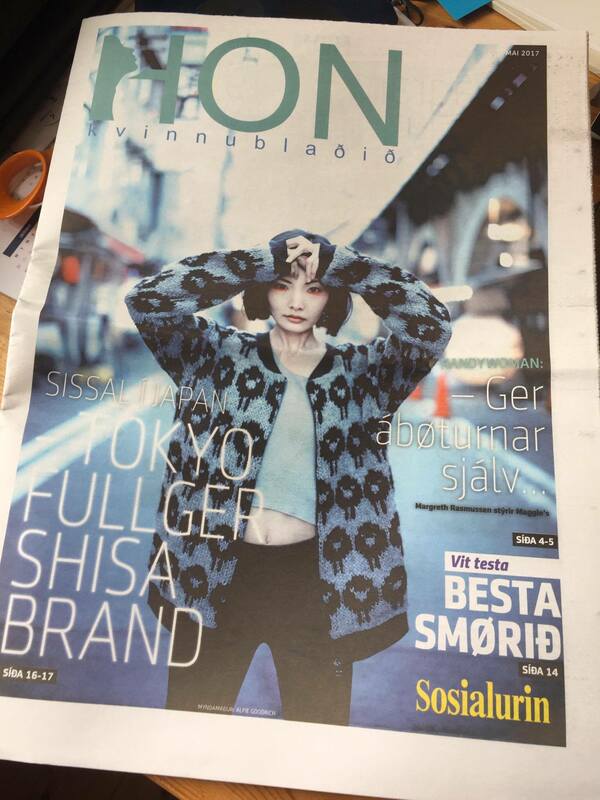 Not only were they professional and very talented, each and every one of them, but they were also very good at listening to what my vision with Shisa Brand is. 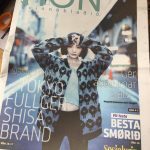 Therefore, I can with all honesty say, that I now have a bunch of really good shots of Shisa Brands designs in Tokyo that are true and that stand solid on the platform of what Shisa Brand is all about. The aesthetics, the chic-ness, the slight edginess, the detailing and last, but not least, the traditions and culture. ‘Sometimes, when you take things out of context the essence of them comes to life, it’s like getting out of context puts you into context. ‘That was how it felt doing to photo shoot. Because of their professionalism and capability, I could put all my confidence in Alfie, Mari, Alex and Joe and relax 100%, which made it more joyful than I could imagine. And seeing the shots just makes me so darn proud. I imagine it is the same feeling a mother has that very first moment when she realises that she has raised a really good and independent child, the feeling that makes her really proud. ‘All in all, it was officially three very good days with Alfie. But as it is with Alfie, if you play cards right, you have not only gotten three great days, you get that and a new group of great acquaintances. 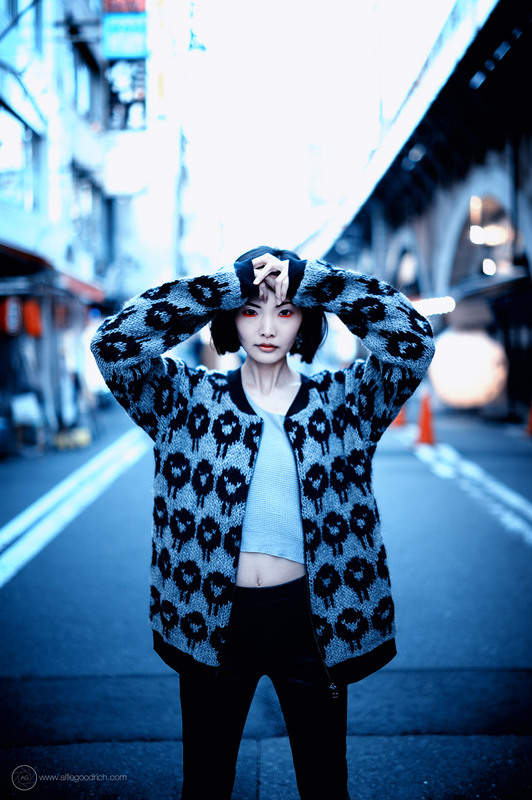 The Shisa Brand knitwear fashion shoot in Tokyo. 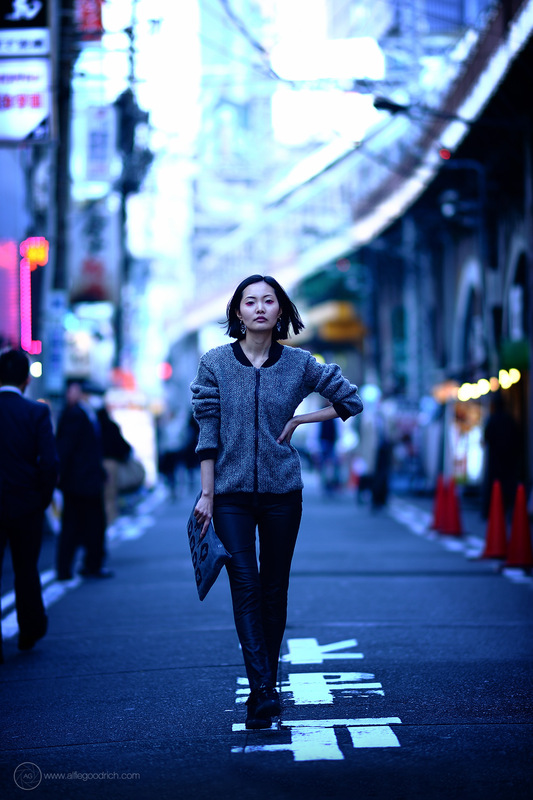 The photos, shot on location in Tamachi and Shimbashi…….